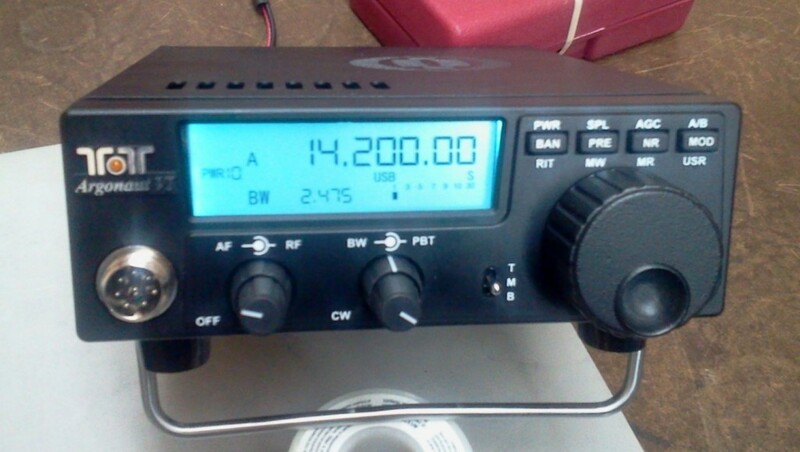 Two Ten-Tec Model 539, Argonaut VI’s, will be on the air at the Ten-Tec Hamfest this weekend. This weekend, I’m heading to the Ten-Tec Hamfest at the Ten-Tec factory in Sevierville, Tennessee. This is, hands down, my favorite hamfest of the year. Not only is it completely free, but the ham radio flea market section has a higher percentage of real radio gear than any other hamfest with which I’m familiar. The event is being held today and tomorrow (the flea market is Saturday only). 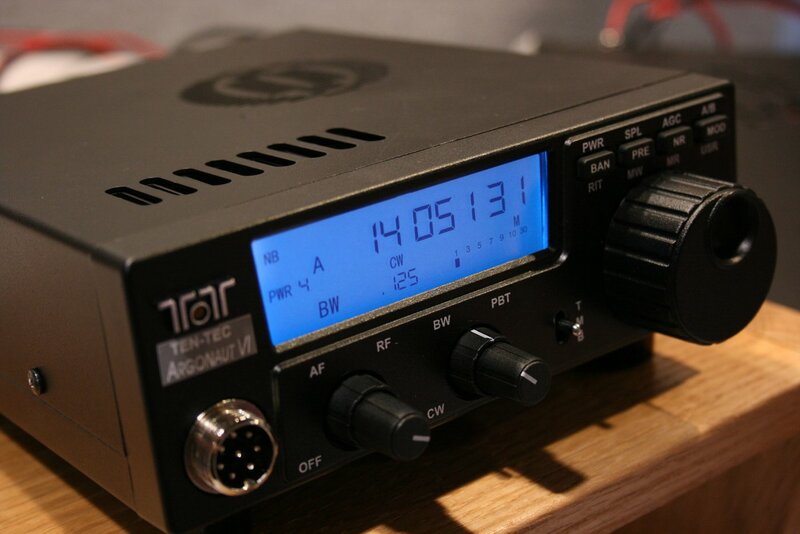 You can read details about the hamfest on Ten-Tec’s website. TenTec is not going to take early orders for the 539 at the TenTec Hamfest on 9-28/29-2012. Essentially the rig is performing to our specification level, but we have a few things to finish before we can ship them to customers, [such as] the user’s manual, FCC testing, etc. We do have a pilot run of 25 units that will be visible to those taking the tour, and a couple will be set up for hams to use at the Hamfest this weekend. In about 1-2 weeks from now, some of the pilot run units will be distributed to hams for another round of beta testing. Regarding the price of the 539, until we finish this last round of beta testing we aren’t sure if we have each and every cost factor taken into consideration. Never know what a broader field of testers will find that may increase costs. So, there is no final customer price yet. But as we have stated at all of the hamfests so far, we can still say it will be well below $1000, and we will still meet our goal of having the price of the 539 [plus] the price of the 418 to be less than the cost of the 599, at near the specification level. I plan to post photos from the Ten-Tec hamfest and report any other updates. Stay tuned! This entry was posted in Announcements, News, Product Announcements, QRP Radios and tagged Argonaut VI, Ten-Tec, Ten-Tec 539, Ten-Tec Argonaut VI, Ten-Tec Hamfest, Ten-Tec Model 539, Ten-Tec Model 539 Pricing and Availablility. Bookmark the permalink. Is there any more news about the included HF bands? A few months ago I read that 12m was not going to be included but 160m was. This seems an odd decision to me: in many places 160m is unusable these days because of man-made noise (the noise floor at my QTH on 160m is some 30dB greater than 10 years ago) so why offer this band and not an interesting HF allocation (12m) on which DX QSOs can be made with QRP and a short piece of wire? The overall styling looks very basic, as if not a lot of attention is being paid to making the enclosure attractive to the eye. This does matter: the older Argonauts had real style. Given the choices between a KX3, a now 10 year old FT817 and the new Argonaut VI, I am not convinced that many will go for the latter unless it has unique design features that give it some “wow” factor over the others. Well, its happened. I see that this new Argonaut is available for purchase. I just read the product brochure, and it looks to me like nothing special at all, especially for $995 USD and that doesn’t even include a microphone! Come on people!! The trusty FT-817nd has decent performance across the board, is ultra-portable, is well built, is STILL unmatched for sheer versatility, and it costs more than $200 less than this rig does.